In-stock items ship within 24-48 hours of receipt of payment. Shipping times vary for items on back order. Free shipping applies to orders shipping within the United States. Shipping of heavy items or long distances such as Hawaii, Alaska, PR or APOs may have an additional fee and may not qualify for free shipping. We will contact you prior to additional shipping charges. Customers based in Los Angeles have the option of picking up their order in person at our North Hills location (in the San Fernando Valley). To do so, during the checkout process please choose pick up in North Hills. We will follow-up via phone and/or email to confirm the time and provide the exact street address and location for pickup. 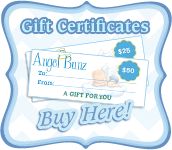 Angel Bunz Cloth Diaper Packages or Cloth Wipes Packages allow you to select Boy Colors, Girl Colors or Gender Neutral Colors. 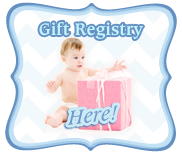 We will do our best to accommodate the request and if there is a situation where we are out of a Boy or Girl color, will substitute with a Gender Neutral color. If one or more items from a Package are returned, the full retail price of items not returned are subtracted from the Sampler purchase price to compute the refund/credit amount. We accept returns on unwashed, unused items within 30 days of purchase. (Items must be in new condition and cannot have pet hair or smell of cigarette smoke). Buyer pays all return shipping costs. Customer will be refunded less any initial shipping costs if shipping was not paid for by customer. Returns over $70 are accepted less initial shipping costs (if applicable) and are subject to a 15% restocking fee. Sales of Clearance or Overstock items are final. If an order is cancelled after payment is received but before we ship there will be a fee equal to 6% of the amount paid. This is because even if an order is cancelled we still have to pay fees to the credit card company or PayPal to receive the payment and then refund the payment. For in-store purchases, we also accept cash and check. Returned checks are subject to $20 service charge. If the check is not satisfied within 30 days after notification, it will be subject to 3 times the amount of the check, no less than $100 or more than $1500.00 plus the amount of the check.